Dakar’s urban population is exploding with an annual growth rate of 2.5% and urbanisation rate of 97.2%. This massive urban expansion leads to overpopulation and construction in restricted areas, creating illegal slums without planned infrastructure including proper drainage and sewage systems. Currently, 2.5 million people are without sufficient sanitation services and infrastructure cannot keep up with the population. In an effort to relieve these pressures, ONAS, the National Sewerage Company, is improving faecal sludge management (FSM) services in urban and peri-urban areas by restructuring the delivery of sanitation services. One big success so far has been the implementation of a call centre for faecal waste trucks. The call centre enables competition among the truck companies, lowering the service price and increasing the efficiency of waste removal. This measure has been so successful that other African cities have approached ONAS to learn from their method. Rapid urbanization combined with a lack of planning translate into lagging public services & facilities, frequent water shortages and energy disruptions, exacerbated by the risks of coastal flooding, earthquakes, and sea level rise. Improving infrastructure to provide safe drinking water and implementing sanitation for all including the treatment of faecal sludge and wastewater, while providing new business opportunities and community engagement. Changing demographics in Dakar are an outcome of persistent droughts in the countryside, driving rural-urban migration in hopes of better livelihoods. 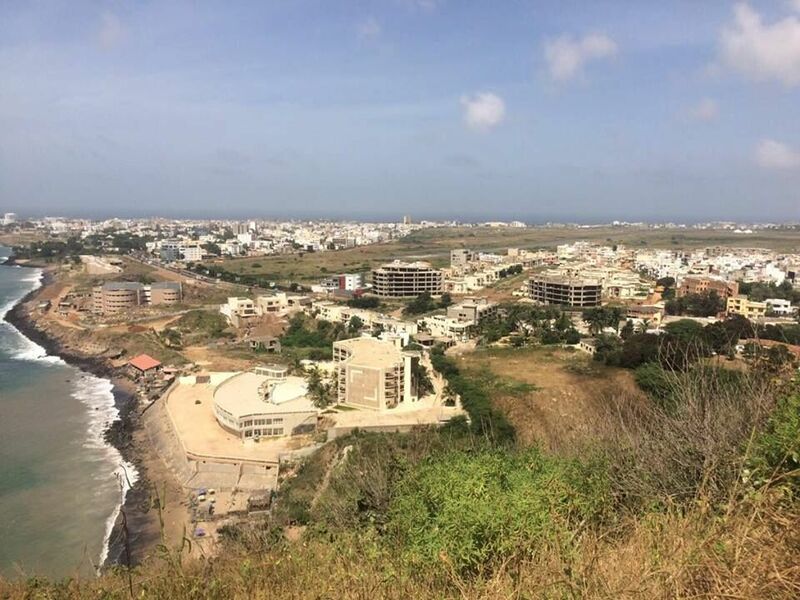 The urban surface area in Dakar increased by 25% between 1998 and 2008, encroaching on wetland areas, woodlands and farmland, consequently reducing permeability. The informal settlements and the city as a whole are facing issues with water quality and supply management, as well as sanitation. The influx of inhabitants and the impacts of a changing climate are major challenges. Droughts and floods are on the rise, with the catastrophic floods in 2012 resulting in major loss of life, and adecline in public and private infrastructure services in the city and its suburbs. Sea level rise is also challenging Dakar’s urban resilience. The peninsula could face a 1m sea-level rise by 2050. Salinization of aquifers is already occurring due to the overexploitation of water tables to meet the competing and growing demands for freshwater and sea-level rise will exacerbate this situation. In addition, freshwater reserves are contaminated with other pollutants such as nitrates, lead, cadmium, aluminium, and solid waste. Despite these many issues, Dakar remains the economic, political and administrative capital of Senegal, and strives to integrate all dimensions of urban life. 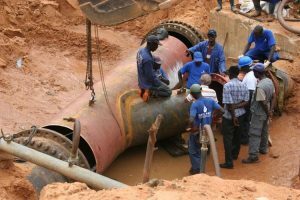 Through public outreach, strategic plans, and innovative infrastructure, the city of Dakar is leading the way in water management in West Africa. The 2012 floods were of significant importance in catalysing a turning point in Senegal’s flood risk management, as the government adopted the Decennial Flood Management Program. The Storm Water Management and Climate Change Adaptation Project (otherwise known as PROGEP) started in December 2013, is investing in necessary infrastructure and also working on institutional capacities, urban planning, wetland management, community engagement in flood risk reduction, waste management and climate change adaptation. Working across sectors, PROGEP contributes to build the resilience that is needed for Dakar’s urban areas. SONES in charge of drinking water and ONAS in charge of sanitation are great institutional assets for Dakar. They offer the coordination between levels of governments and sectors to address the expansion of the water services and innovative approaches for sanitation and sludge management. By 2020, SONES is targeting to secure freshwater resources for 500 000 people and include resource recovery processes to protect groundwater levels from overexploitation. The omniprocessor is an alternative to traditional sewerage management, yielding by-products from faecal sludge, including electricity, clean water, and ash that can be used as fertilizer for agriculture or in the manufacturing of breeze blocks for construction. 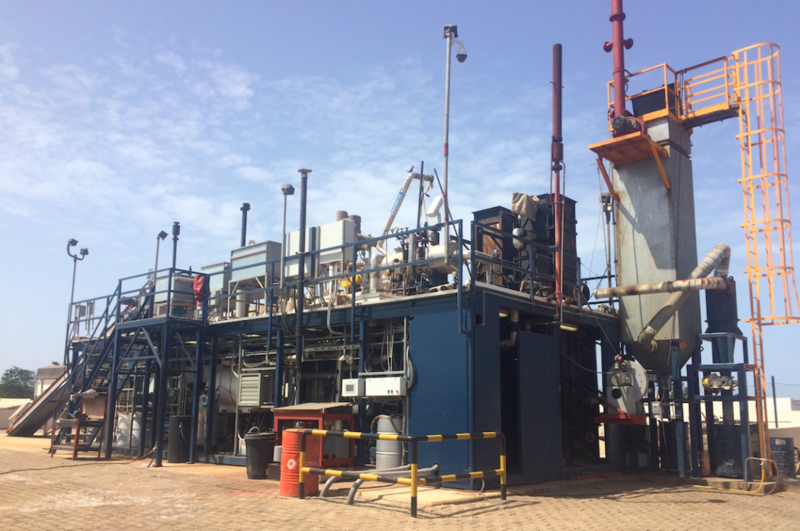 The pilot project in Dakar, supported by the Gates Foundation successfully developed a public private partnership between ONAS and local businesses to establish a privately owned truck fleet to collect faecal sludge for its processing in the Janicki Omniprocessor. The program covers approximately 120,000 households in suburban areas of Pikine – Guediawaye, 52% of whom currently use manual emptying. The next step is upscaling beyond these 2 neighborhoods. •	SONES working on overexploitation and water quality PROGEP. •	Awareness programme on reducing use. •	SONES examples- diversifying the sources: new drilling projects & planned desalination plants. •	ONAS Janicki Omniprocessor to treat and upcycle faecal sludge. •	New plants, more pipelines, extensive sanitation programs. •	2008 Urbanism Codes and Regulations supporting recycling and lower use of water. •	PROGEP project to develop urban resilience to flooding. •	Desalination project planned to reduce pressure on groundwater resources. •	3 operating sewage treatment plants. •	Improvements to faecal sludge management (Janicki Omniprocessor). •	Senegalese authorities creating maps for flood risks in two suburbs. •	Mainly in the water companies (SONES- Assets holding, SDE- Private operator). Strives to be a centre that integrates all dimensions of urban life. Clear water governance with ONAS and SONES. Mainly in water and sanitation companies. Government of Senegal’s 2010 Action Plan.